Emailing your articles to yourself has never been easier! Now you can do it seamlessly without hassle. All you need to do is select the accepted tab and navigate to any folder in the folder tree (folders on the left) and click to select all, or select individually. Then click the Get content button. 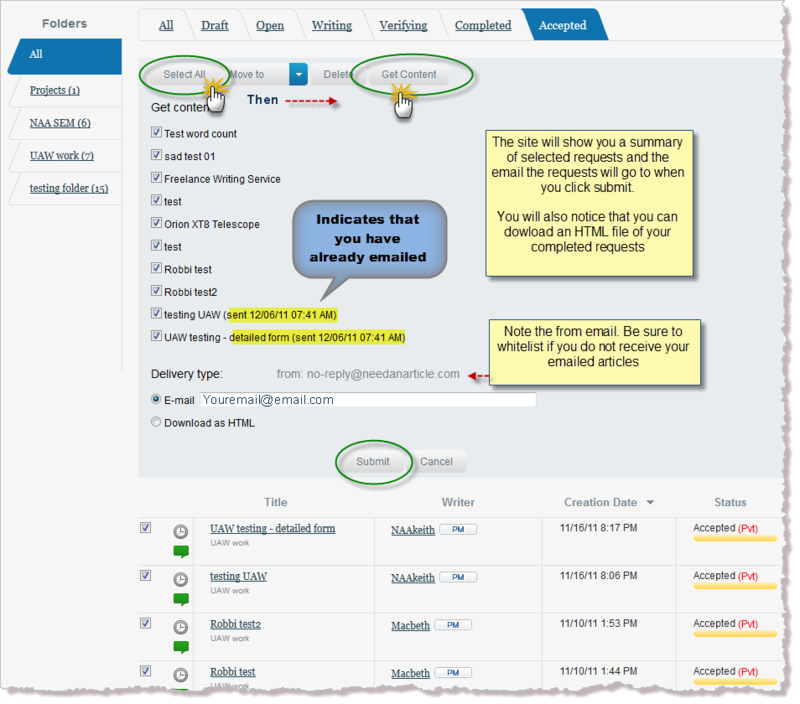 Once you are ready, you can email them, or download them as an HTML file.